China is undergoing exciting economic changes. Many of these will impact, or are impacted by, Logistics. In this paper, we summarize the current status of Chinese Logistics. 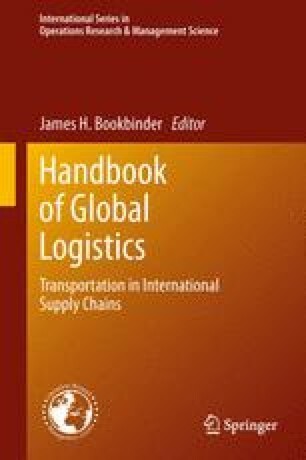 We discuss issues related to the various transport modes: water, rail, road, air and intermodal, and their use by firms and by 3PLs (third party logistics providers). Two case studies are presented. Possible paths are formulated for the future development of Logistics in China. We would like to thank Editor James Bookbinder for his extensive comments and suggestions which helped to improve significantly the presentation of this chapter.